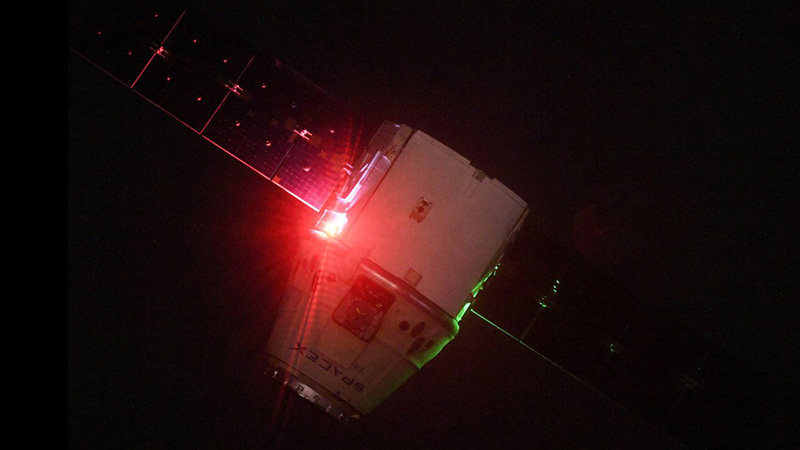 Following release from the International Space Station by ground controllers at 9:23 a.m. EDT, SpaceX’s Dragon cargo spacecraft splashed down in the Pacific Ocean at about 3 p.m. This marks the end of the company’s 14th contracted cargo resupply mission to the space station for NASA. A boat will take the Dragon to the port at Long Beach, where some cargo will be removed and returned to NASA. Dragon will be prepared for a return journey to SpaceX’s test facility in McGregor, Texas, for processing. Dragon is returning more than 4,000 pounds of NASA cargo and science samples from a variety of technological and biological studies about the space station. Some of the science returning on this flight includes samples from the Metabolic Tracking study that could lead to more effective, less expensive drugs, the APEX-06 investigation examining how to effectively grow crops in space, and the Fruit Fly Lab–03 investigation to research disease genes and immunity to help prepare for future long-duration human space exploration missions. Was this visible in east sky 5/8/18 from Dallas around 9pm CST? I have a photo that I thought was the space Station ESE Sky last night. My photo only has one solar blade reflecting light. In one photo, it looks like shape of your photo here.